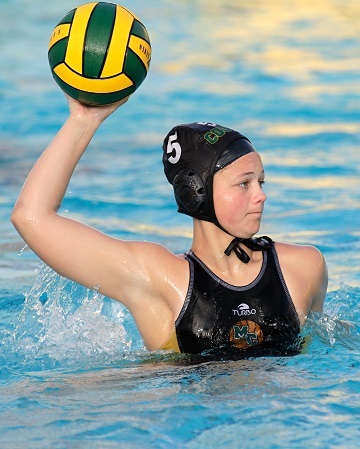 Despite not having great seasons on the hardwood, Mira Costa is sending its girls water polo and both soccer teams into the postseason with high expectations with the girls water polo and boys soccer teams seeded No. 2 and 3, respectively. 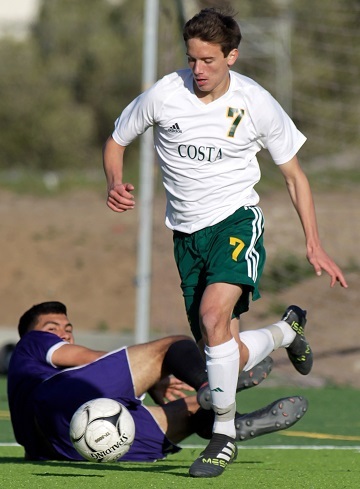 In the Division 3 playoffs, Bay League champion Mira Costa (16-9) entered the postseason as the No. 2 seed and defeated visiting St. Lucys 18-11 in the first round on Wednesday. The Mustangs will host Claremont in the quarterfinals. Quarterfinal action takes place Friday followed the semifinals on Wednesday, Feb. 13 and the finals on Saturday, Feb. 16. Redondo (19-5) is seeded No. 4 in Division 3 and, following its 21-12 wild-card victory over Temple City on Tuesday, defeated Beckman 15-5.in the first round on Wednesday. The Sea Hawks will host Segerstron in the quarterfinals on Saturday. Also in Division 3, Palos Verdes (14-14) defeated Crescenta Valley 18-6 in a wild-card game but lost at Riverside Poly 7-4 in the first round. In Division 4, Ocean League co-champion El Segundo (21-5) earned the No. 4 seed and shutout Burroughs 10-0 in the first round and Downey 9-5 on Thursday. The Eagles host Sunny Hills on Saturday. In Division 6, second-seeded West Torrance (21-5), the Pioneer League champion, earned a first-round bye then out dueled Pacifica 19-10 on Thursday. The Warriors host Wilson of Hacienda Heights on Saturday. Torrance (13-11) lost to host Cypress 8-5 in the opening round.. In Division 7, Chadwick (10-5) was the Prep League runner-up and is seeded second. The Dolphins defeated Loara 15-5 in the opening round on Wednesday and will host Carpenteria in Saturday’s quarterfinal action. South Torrance (10-9) defeated Norte Vista 9-4 in a wild-card game Tuesday before beating San Gorgonio 8-5 on Wednesday. The Spartans host top-seeded Katella on Saturday. Bay League champion Mira Costa (19-0-3) is seeded No. 3 in the Division 1 playoffs and will shutout Notre Dame of Sherman Oaks 4-0 in first round Thursday. The Mustangs advance to face the Long Beach Wilson-in Saturday’s second round action. “We are taking every team we face in CIF playoffs very seriously, and are not looking past our game with Notre Dame,” Mira Costa coach Alfred Brown said. “They are a strong, skillful side with a knack for one-touch build up and excellent outside halfbacks. We’ve got plans to neutralize their attack, and will spend the majority of the game on the attack. Josh Gaudiano is in excellent form and has found his knack for putting goals away when we most need them. Malcolm Kluth and Colton Flake have kept the backs in perfect order while Alex Reig, Kyler Sorber, and Max Haber are our keys to releasing the counter attack. Veteran coach Gary Smith also knows the Mustangs have their work cut out for them. Also in Division 1, Palos Verdes (11-9-3) edged Santa Barbara 1-0 in the opening and willhost Edison in the second round. Pioneer League runner-up South Torrance (10-6-5) lost at Paramount 2-0. Quarterfinals take place Wednesday, Feb. 13 followed by the semis on Saturday, Feb. 16 and the finals on Friday, Feb. 22. In Division 2, Bay League runner-up Redondo (16-9-1) fell to host Riverside Poly 5-3. Ocean League champion El Segundo (18-1-1) is the No. 2 team in Division 3 and will host Esperanza Thursday with the winner facing the Crescenta Valley-Brea Olinda winner on Saturday. Also in Division 3, Pioneer League champion West Torrance edged Santa Monica 1-0 and will play at Burroughs of Burbank on Saturday. In Division 4, Torrance (12-7-3) defeated host Bishop Montgomery (8-9-1) 3-0 in an all-South Bay wild-card game on Tuesday but the Tarters were edged by third-seeded Norwalk 2-1 in the first-round. The highly competitive Bay League has three teams competing in the Division 2 playoffs. League champion Mira Costa (18-1-3) defeated El Toro 3-1 Wednesday and will travel to face Bishop Amat in the second round on Friday. Quarterfinals take place Tuesday, Feb. 12 followed by the semifinals on Saturday, Feb. 16. Times and dates for the finals have yet to be announced. Bay runner-up Redondo (20-3-1) shutout Quartz Hill 2-0 and will play at Newbury Park in the second round. Palos Verdes (14-8-2) fell to host Long Beach Poly. In Division 3, Pioneer League champion West Torrance (14-7-2) eliminated Arcadia 2-1 and will travel to take on Oxnard on Friday. North Torrance (14-9) and Bishop Montgomery (10-8) squared off in the first round with Bishop Montgomery enjoying a 5-1 win. The Knights advance hosting Downey. South Torrance (15-7) beat Citrus Valley 4-1 in a wild-card game Monday then traveled to Riverside Poly where they tied the Bears 1-1 before winning on penalty kicks 4-2. The Spartans will host Brea Olinda in the second round. In Division 7, Vistamar (10-3-1) lost to Calvary Murrieta 1-0. Visit cifss.org for playoff results.